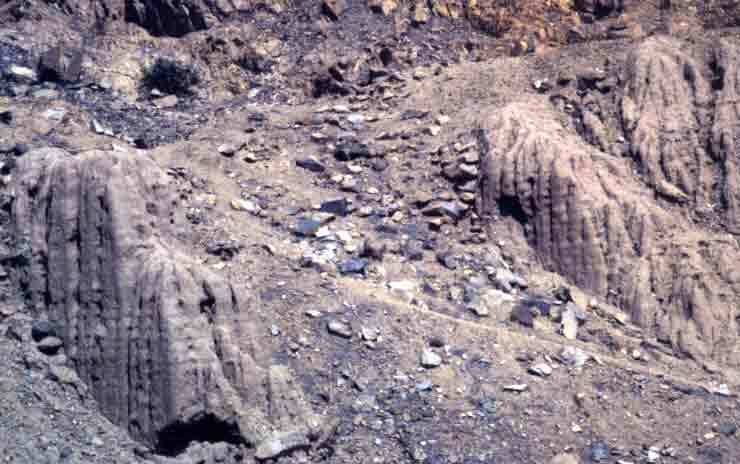 Left: An ancient canal, carrying water from the volcanic Moctezuma Well, north of Phoenix, AZ, USA, had left a thick mineral-deposit lining. 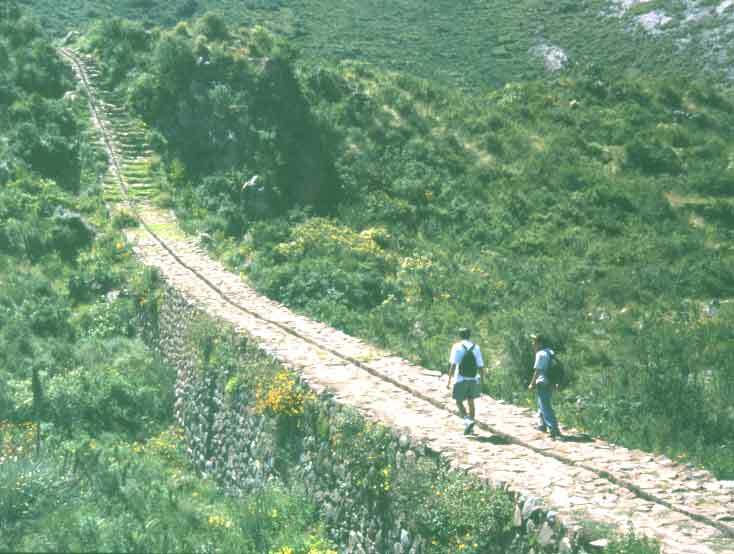 The dam-aqueduct of Ascope, in La Libertad, Peru, was formed by an earthen wall 1400m long and 15m high (max). 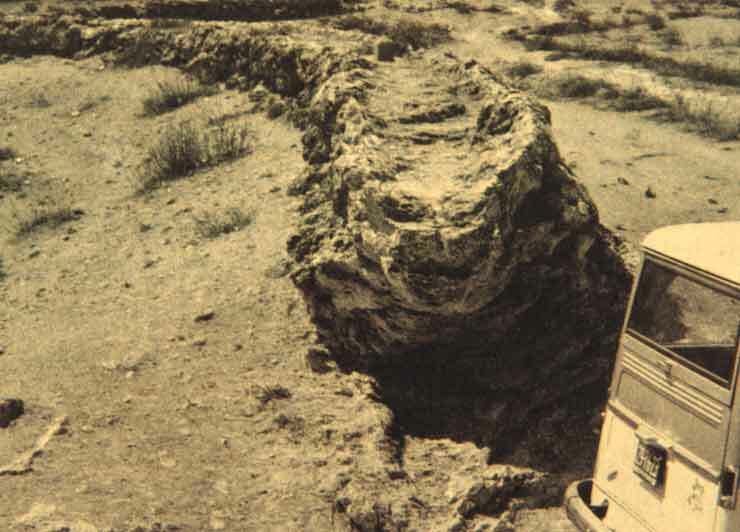 Remnants of a dam-aqueduct of the Moche-Chicama intervalley canal, that was washed off by heavy rains. 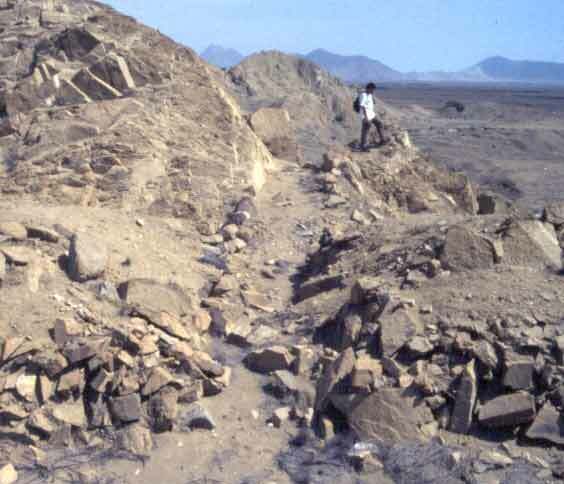 This canal has many other aqueducts that are intact. 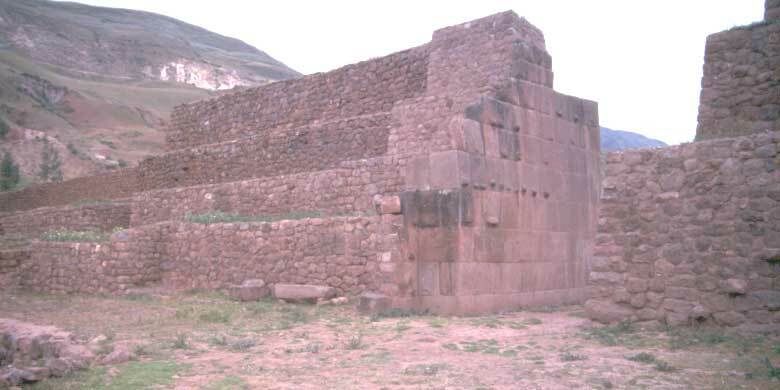 This masonry wall, with an adorned entryway, also served as an aqueduct for the canal (details below), that transported water for the great city of Huari, Piquillakta, upper Urubamba valley, Cusco, Peru. 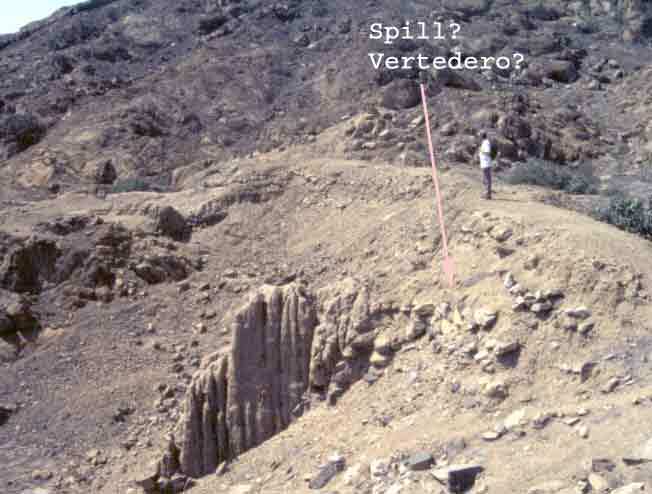 Right: The same canal skirts a big rock outcrop, over a masonry wall (now partly gone) that hugged the rock face. 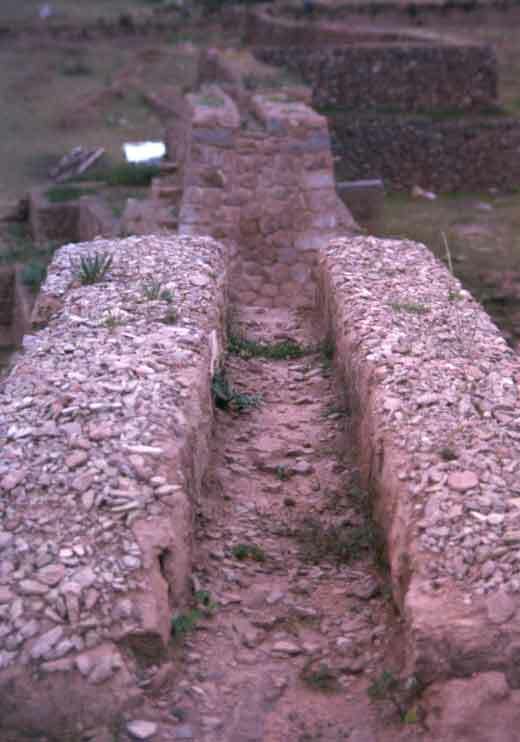 A small canal, that transported water to a ceremonial center, of Tipon, in Cusco, Peru, runs over some extraordinary structures, like this stone masonry aqueduct. 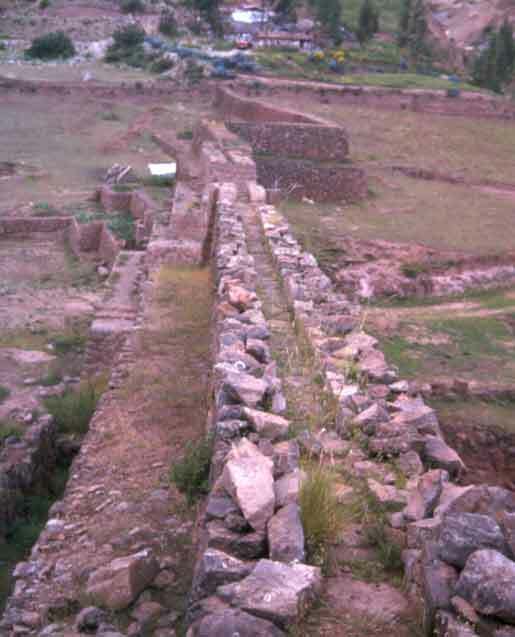 The masonry wall that forms the base of the aqueduct, that supplied the capital city of Huari, Ayacucho, Peru. 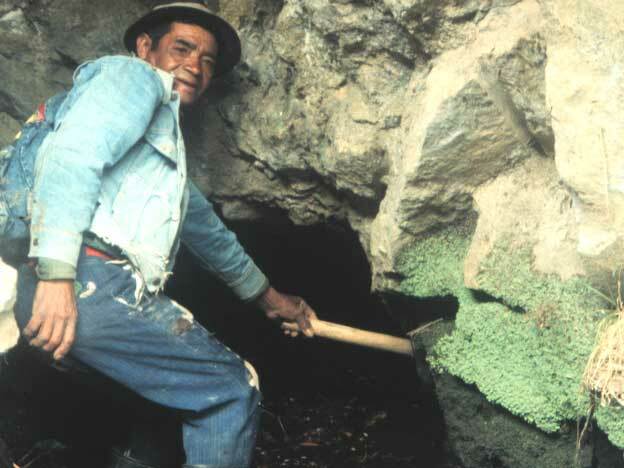 This campesino indicates, that the canal takes a 90 degree turn, inside the tunnel, because its builders tried to follow the fissures in the rock. 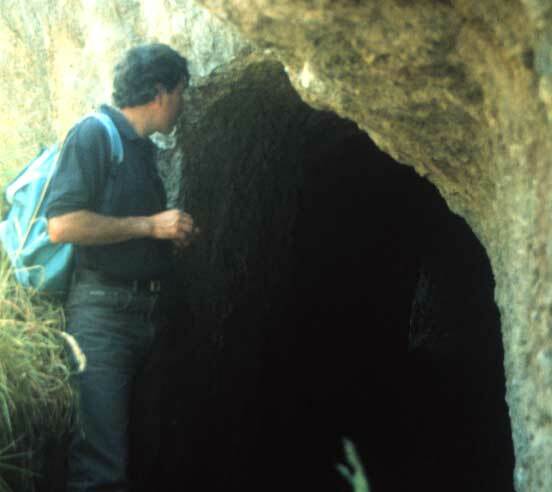 The 26 km long, El Angel-Santiaguillo canal, in Canton Mira, Ecuador, has numerous tunnels like this. 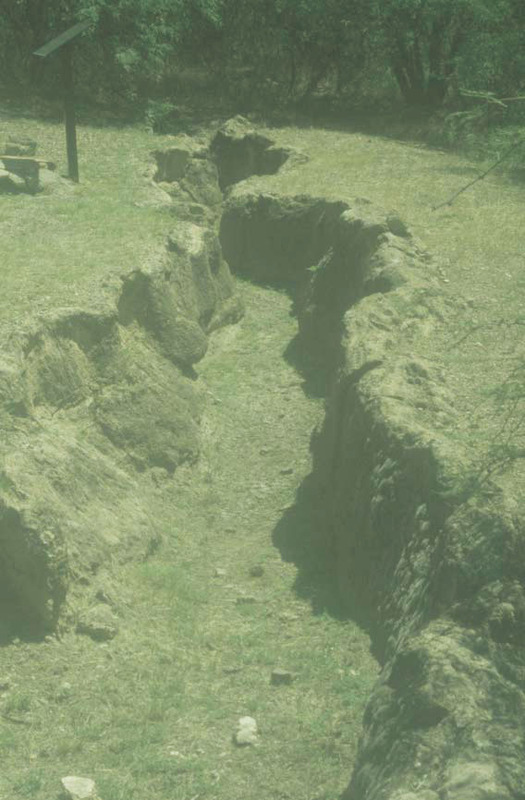 The archaeologist Fabian Villalba, laments the recent modernization, that destroyed whatever archaeological evidence, that was hidden in the prehispanic canal, 'Acequia del Pueblo', near Mariano Acosta, Ibarra, Ecuador. 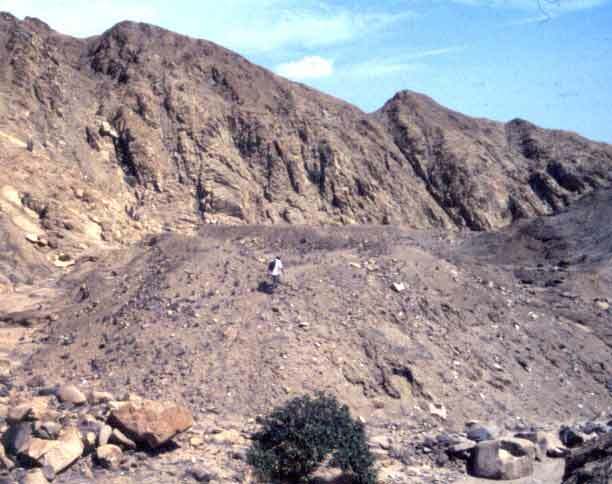 This 2-3 km long tunnel was dug in cangagua (hardened soil/pebble deposits ). 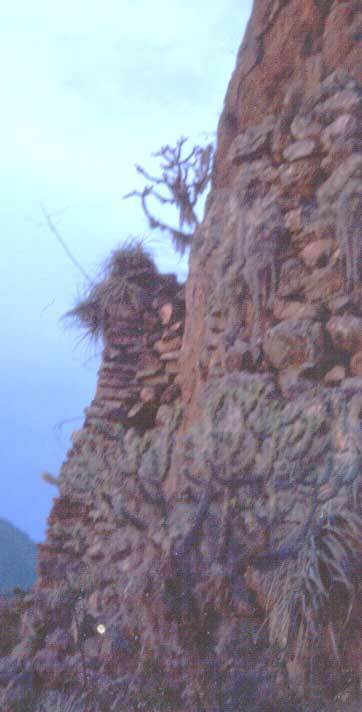 Behind the lake 'Alto Pichona' of Ascope, La Libertad, Peru, a large canal, apparently terminated at this 'spill' structure, built with adobe walls and rock masonry steps. 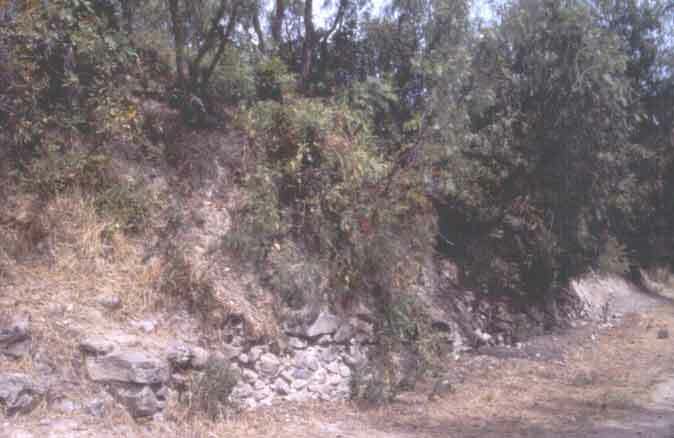 A possible overflow structure, situated perpendicular to the main canal axis, in Moche-Chicama intervalley canal, near Quebrada de Oso, La Libertad, Peru. 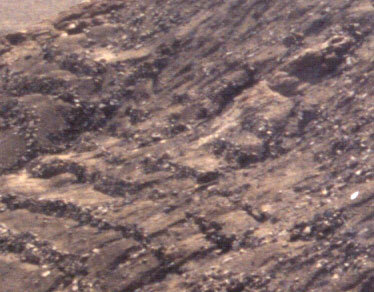 At the far end, the rock face is neatly cut, in line with the masonry wall. 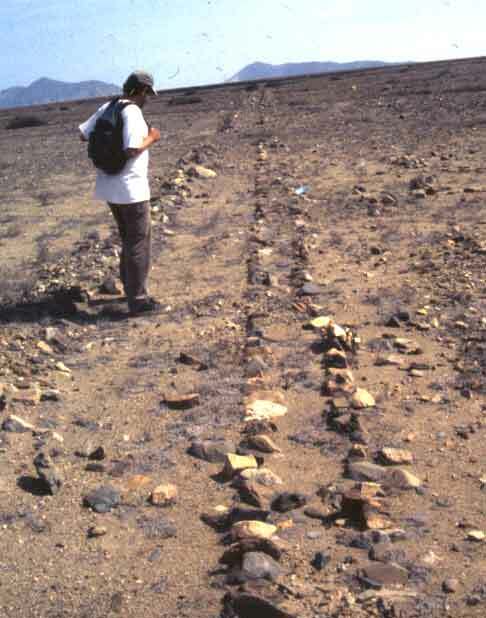 Archaeologist Luis Valle, admires the terracing to prevent slope erosion, in intervalley canal, La Libertad, Peru. 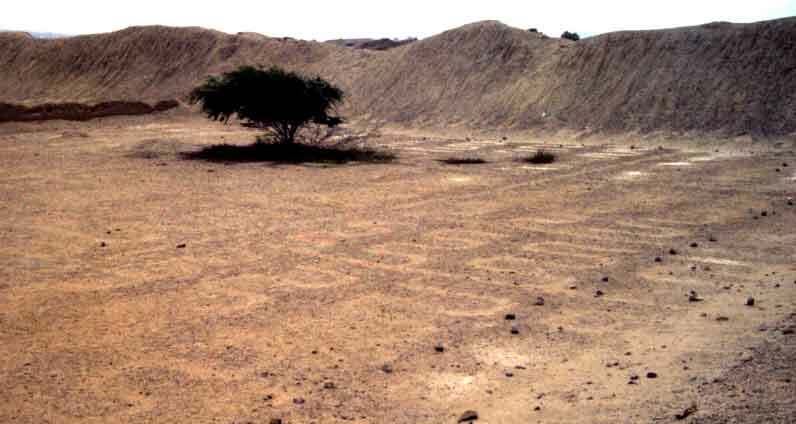 A secondary canal(?) in the valley below the Moche-Chicama intervalley canal, near Quebrada de Oso, La Libertad, Peru. 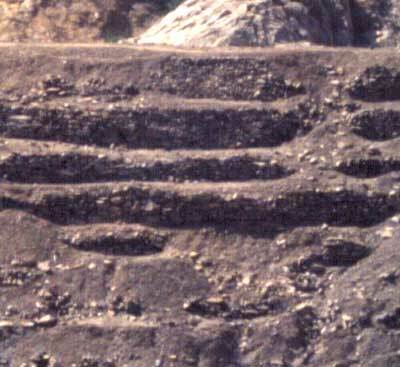 Serpentine field canals, enclosed in a ciudadela of Chan Chan, Trujillo, Peru. 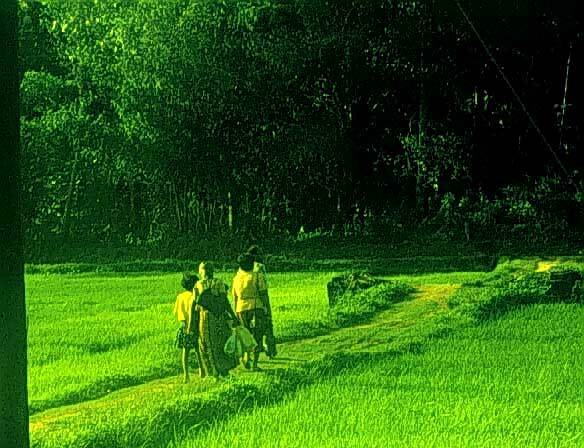 If you would like to begin a discussion, please, write to me.